This is the solution to storing your hair accessories. This enables you to see each piece and keeps your hair accessories neat and tidy. Our storage rack is made of durable chrome and 5 vinyl coated arms to help secure your hair accessories so they will not slide. 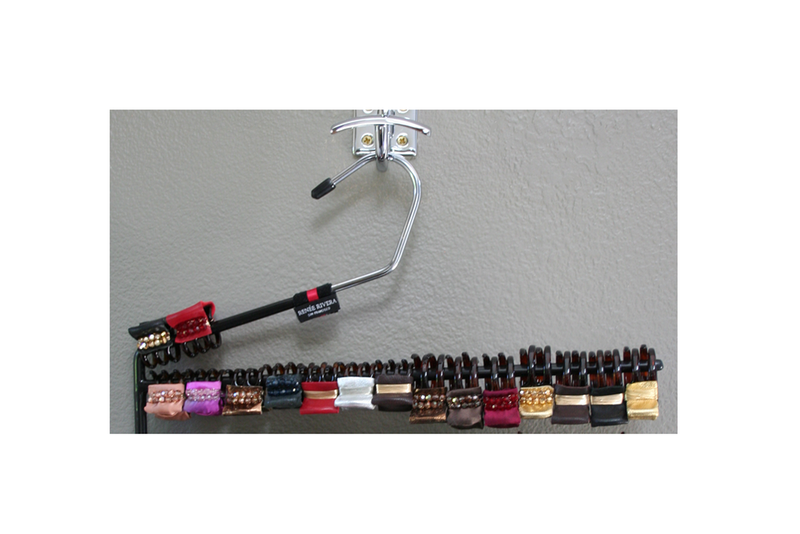 Each arm measures 13" and our storage rack hangs perfectly in your closet or on a wall hook. Great for clamps, ponytail holders and soft headbands. Hair accessories are not included.